Inflammation plays an important role in acne pathogenesis, and pro-inflammatory cytokines are key factors in these events. Tumor necrosis factor alpha (TNFα) is a central molecule coded by a gene that shows high level of genetic polymorphisms especially in its promoter region. Single nucleotide polymorphisms (SNPs) of the TNFα gene have been shown to be associated with an increased risk to develop chronic inflammatory diseases. 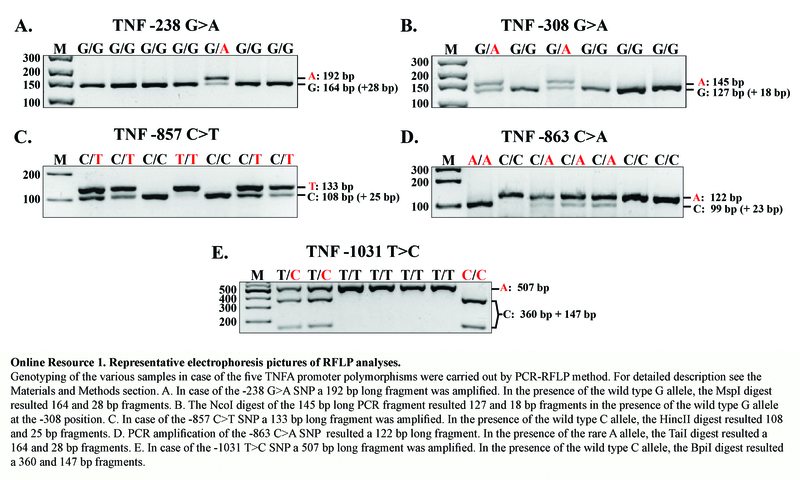 In order to find out if known TNFα regulatory SNPs (−1031T>C, −857C>T, −863C>A, −308G>A, −238G>A) have a role in the development of the inflammatory reactions in acne vulgaris, we analyzed our genomic collection in a retrospective case–control study using the PCR–RFLP method, and we compared the resulting genotype and allele frequencies. 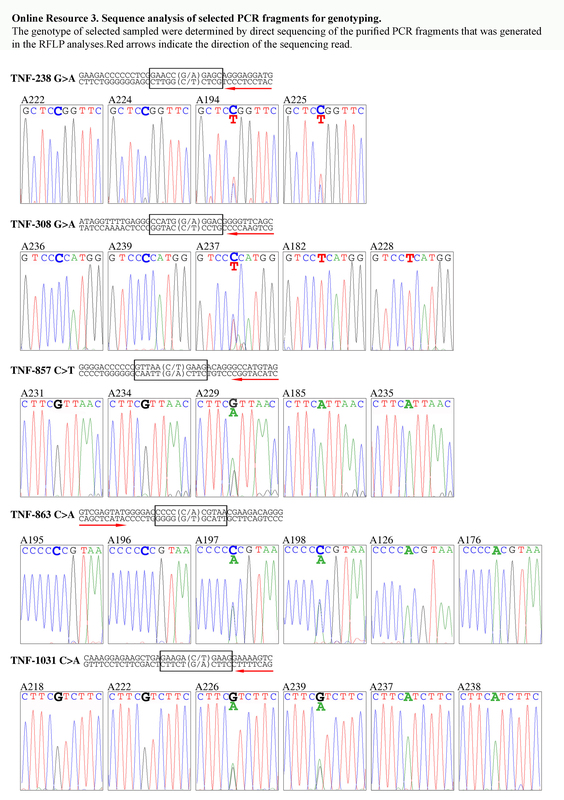 There were no significant differences in the observed genotype or allele frequencies between the control and acne group in case of the −1031, −863, −238 SNPs; however, the TNFα −857 minor T allele was found to act as a protective factor in our study population in acne, and a higher occurrence of the minor −308 A allele in female acne patients was also noted. 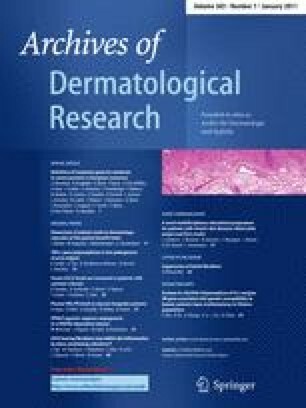 Genetic variants of the TNFα gene may affect the risk of acne vulgaris. Our results can help to elucidate the molecular events leading to acne development. The online version of this article (doi: 10.1007/s00403-010-1050-7) contains supplementary material, which is available to authorized users. The authors wish to thank Tanácsné Bajkán Andrea for her excellent technical assistance, Viharosné Dósa-Rácz Éva for the statistical analysis, and Gyimesi Andrea for the help during the preparation of the manuscript. K.Sz. was funded by OTKA PD 73485 Grant.